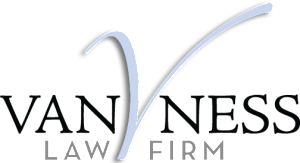 Van Ness Law Firm, PLC (the “Firm”) is a certified minority owned law firm based in Deerfield Beach, FL. The Firm was founded in July 2004 as Van Ness Law Firm, PA in Hollywood, Florida focused on lender representation in real estate closings, commercial litigation, foreclosure, evictions and related areas. J. Anthony Van Ness opened the firm as a solo practitioner having spent the prior seven years gaining experience on both the corporate legal and vendor attorney side of the default servicing industry. His loan servicing experience, combined with the practice of law at two prior law firms, made the Firm excel in client customer service as well as results. Van Ness Law Firm, PLC has grown to an attorney staff of seventeen with plans to add more when the firm expands to Miami. The Firm covers several practice areas to include Real Estate & Foreclosure (Plaintiff), Commercial Business Litigation, Immigration, Appellate Practice, Construction Law, Mediation & Arbitration, Creditor side Bankruptcy and Creditor’s Rights. In November 2010, the Firm took great pride in becoming retained counsel for the Federal National Mortgage Association (“Fannie Mae”). In addition, the Firm is also a Member of the Legal League 100 and active participant in their round tables at their Bi-Annual Summits. Our representative clients include: Bank of America, NA; Carrington Mortgage Services; Bayview Loan Servicing, LLC; Ocwen Loan Servicing; Nationstar Mortgage Servicing; BB&T and Third Federal Savings and Loan. Firm attorneys speak the additional languages of Creole and Spanish.